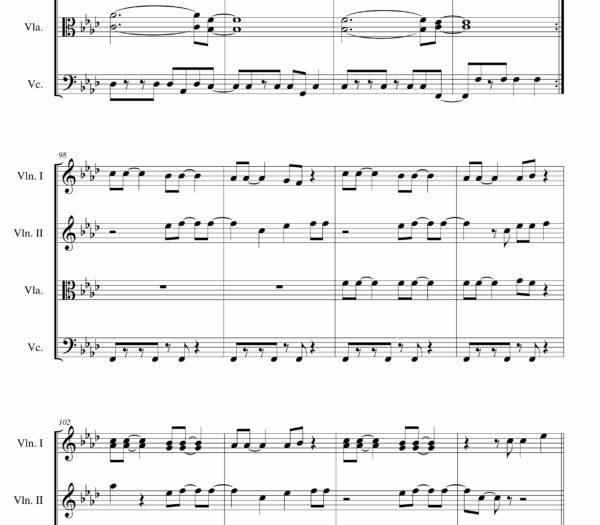 Despicable me Sheet music presents you a song from this its soundtrack written as arrangement for String quartet on our website: Happy (Pharrell Williams). All songs have midi recording so you can hear sound sample of arrangement. Despicable Me 2 is a 2013 American 3D computer-animated comedy film and the sequel to the 2010 animated film Despicable Me. Produced by Illumination Entertainment for Universal Pictures, and animated by Illumination Mac Guff, the film is directed by Pierre Coffin and Chris Renaud, and written by Cinco Paul and Ken Daurio. Steve Carell, Russell Brand, Miranda Cosgrove, Elsie Fisher, and Dana Gaier reprise their roles as Gru, Dr. Nefario, Margo, Agnes, and Edith respectively. The film premiered on June 5, 2013 in Australia, and was theatrically released in the United States on July 3, 2013. The film received mostly positive reviews from critics, and was nominated for Academy Award for Best Animated Feature and for Academy Award for Best Original Song (for “Happy”), losing both to Walt Disney Animation Studios’ Frozen.